Second-graders in gardening at Redwood Heights Elementary School in Oakland, Calif.
Yeghoian’s students at Design Tech High are designing 3-D neighborhood models where all the buildings have rainwater catchment systems, trees and shrubs are native and planted away from structures, major streets skirt the perimeter so the inside streets are safer for pedestrians and bicycling and the buildings are all energy-efficient — general eco-friendly improvements that are good for the environment overall and can reduce the risk and intensity of wildfire. 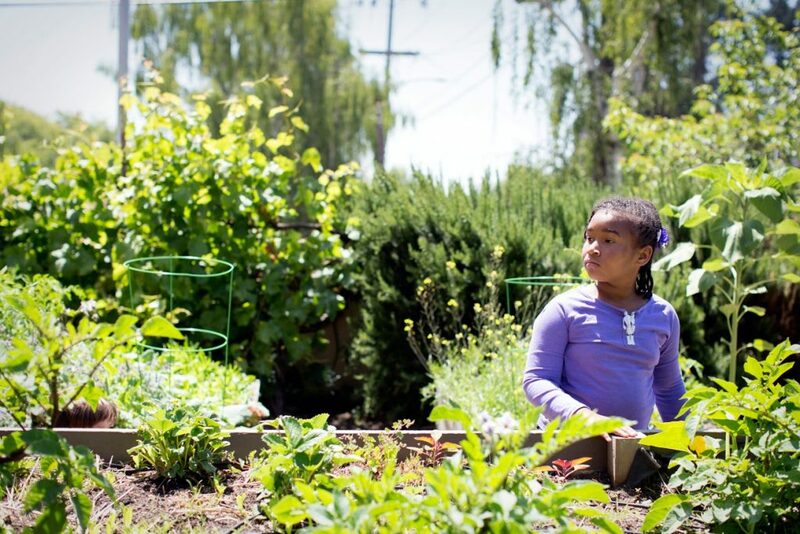 California’s State Board of Education adopted a K-12 environmental education curriculum in 2010, and environmental principles are part of the state’s new science standards as well as the history and social science standards. For younger grades, that means studying composting, recycling, wildlife habitats and other ways people can protect the environment. High school students study topics like sea-level rise, agribusiness and other more complex subjects. And while natural disasters — and the environmental standards themselves — aren’t always related to climate change, human-caused environmental shifts are hard to ignore, Yeghoian said. 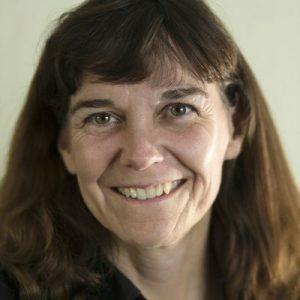 In the Lake Tahoe area, where the temperature can swing 50 degrees in one day, elementary science teacher Laurie Scheibner is surrounded by natural disaster, extreme weather and climate change teaching opportunities, she said. In her lessons in Tahoe-Truckee Unified classrooms, where she teaches science at several elementary schools, students measure the snowpack and compare it to historical data, check the temperature of Lake Tahoe over time, even monitor bear activity to gauge the impact of humans on ursine habits. When the Oroville Dam spillway threatened to collapse during last winter’s heavy rains, Scheibner had her students study rivers, flooding and how a home could be engineered to protect from deluges. Natural disasters aren’t just fodder for science lessons. California’s history-social science standards also include environmental principles and plenty of opportunities for teachers to look at the long-range implications of droughts, floods, fires, hurricanes and other phenomena, said Shelley Brooks, who works on the California History Social Science Project at UC Davis, which promotes K-12 history and social science education.